A single injury at the docks or at sea can change your life forever. We have seen first-hand the catastrophic consequences of high-seas accidents. If you or a loved one has been injured in a maritime or high-sea accident, trust the experience of our legal team in high-sea. In 2010, 5,427 commercial navigation accidents were registered. Of these accidents, 159 injuries and 41 deaths were recorded. Research shows that most accidents and injuries from high seas can be avoided. High-sea works are dangerous and workers are constantly exposed to risks and dangers at sea. The Jones Act (Jones Act) was established to grant protection and legal rights to maritime employees. The surviving workers or their immediate surviving relatives have the right to bring an action against the employer when the ship’s employer or some other crew member who is responsible for his or her injury or death. Under Texas law, the Statute of Limitations to file a claim is two years from the date of the accident. It is important that you pursue your case as soon as possible to help you remember and document the key details that could be crucial to receiving your compensation. The more you wait to start a legal action, the more difficult it can be to prove negligence, gross negligence and other legal concepts that are required in these types of cases. If you are involved in an offshore accident, you should seek immediate medical attention to ensure that your injuries, and those of any of your co-workers, are properly addressed, as some injuries are not always noticed immediately. Also, be sure to report your injury to your superiors. If an insurance company wants to talk to you about your injury, you should not admit error and should seek representation from a lawyer. Everything you say will be recorded, and can potentially be used against you. Talking wrong can prevent you from receiving the appropriate benefits that you owe. It is in your best interest to consult with a lawyer who can help you navigate the legal battlefield and explain your options. You can expect that your employer will already be building a defense against the incident because they have already established systems to handle this type of incident. An experienced lawyer can help ensure that you receive all the benefits to which you are entitled and protect your rights. Will I be blacklisted for filing a lawsuit? Being on the blacklist for filing a lawsuit is a common myth, and it simply is not true. In fact, the “black list” does not exist. It is also considered unethical for a company to refuse to hire him because he filed a lawsuit. What are my rights if I am injured at sea? If you are injured at sea, you have the right to receive medical benefits. You have the right to speak with a lawyer. You also have the right not to talk to anyone. Your company may start trying to gather information about your injury, but keep in mind that they will not always collect information that will put you in a good situation. Be careful what you say if you decide to say something. How much does a Altamar lawyer cost? Our number one priority is to help you get the benefits you deserve. We do not want financial obligations to stand in your way. We pay all expenses in advance, including in some circumstances the crucial medical expenses that your employer or the insurance company will not cover. If you win your case, you pay a portion of the compensation you receive. If you do not win, you pay nothing – no legal fees, and no case expenses. Can I have problems talking to a lawyer? We pride ourselves on having 100% confidentiality. No one will know you’ve consulted with us unless you tell them. It is your right to speak with a legal representative, and you can not have problems by exercising your right. If you or a loved one has suffered an injury at sea, you do not have to suffer alone. Schedule a free consultation with one of our legal experts to make sure you are being treated fairly. While nothing can fully recover the extent of your injuries, not having to worry about your finances can help provide you with some relief. 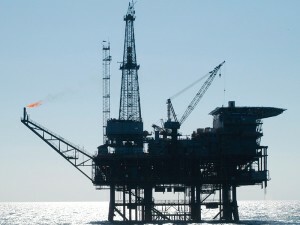 As a lawyer in Accidents in Industry, I can say that working in Oil or Gas platforms has multiple risks, this includes working in oil and gas exploration and production towers. As it is a heavy duty, you must take the care you deserve because an accident in that area can lead to serious injuries and death. Many of these cases occur due to negligent employers. 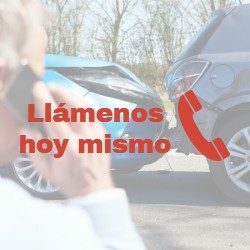 We are enficados in accidents of oil towers and we have the experience and knowledge necessary to obtain an adequate economic compensation for the damages caused in your person. We offer you free consultations, our fees are subject to results, this means that you do not pay unless we get compensation for your case. Call now at 713-900-6424 or contact us via email to schedule your free consultation, without any commitment for you. We represent people who reside throughout the state of Texas, including cities of Houston, Dallas, Austin, San Antonio, Woodlands, Sugarland, Conroe, Dickinson, League City and Galveston.